Find the best price forWhat's My Name? A whole new direction for Tony Ross's bestselling Little Princess. 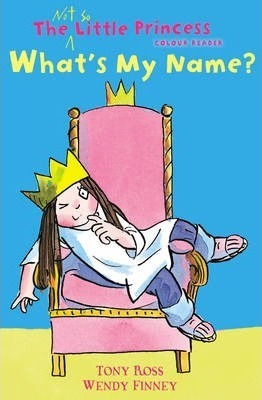 The first in a set of colour first readers -- the Little Princess is not so little any more! Â Â Â Â Â Perfect for inspiring reading confidence in young bookworms, these full-colour first readers will take Tony Ross's ever-popular Little Princess to a whole new audience. Â Â Â Â Â The King and Queen realise they need to call the Little Princess by her real name now that she's actually not so little any more. But there's trouble... the Princess's real name is so awful that nobody can pluck up the courage to tell her what it is! The Princess is determined to find out her true name. But what will happen when she does? Â Â Â Â Â A multi award-winning TV series based on the books is currently airing on Milkshake daily and has sold to over 100 territories worldwide. Compare New Book Prices for What's My Name?